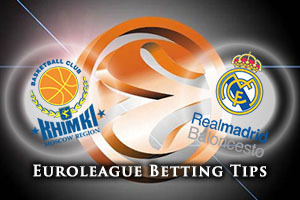 This is a clash of the European champions as the reigning Eurocup holders welcome the reigning Euroleague holders to Moscow. 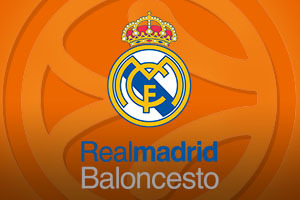 This should be an exciting game and even though Real Madrid will be determined to get their defence of the Euroleague off to a flying start, this game should be a cause for celebration in Moscow. If the home side is looking for a further bit of hope for this game, they will find it in the fact that the teams have clashed 4 times in the past and the home team has always won. This is a game where Tyler Honeycutt, Maxim Sakharov and Ruslan Pateev are all likely to make their Euroleague debut but Tyrese Rice is a player that could make all the difference. He has successfully netted his past 11 free throws in the Euroleague and if he can maintain that consistency against the Euroleague champions, it could be a great night in Moscow on Friday. The Spanish giants look set to provide Jeffrey Taylor and Luka Doncic with their Euroleague debuts but there are some milestones looming for Madrid. Jaycee Caroll is just 29 points away from reaching 1,000 Euroleague points and Sergio Llull needs 11 assists to tie for ninth place in the list of all-time assists in the Euroleague. Llull is currently on 597 assists for his career. Another player with a milestone on his mind is Andres Nocioni who is looking to grab 2 more blocks to reach 100 blocks in the Euroleague. There are plenty of individual goals and aims for the Spanish side but they’ll be out to win as a team in Moscow. The bookmakers think that this is one is going to be rather close, and there is a lot to be said for taking Real Madrid with a -1 handicap at odds of 1.90. Anyone looking to get involved with the Over/Under market for this one will find that going OVER 162.5, at odds of 1.90, should be an exciting way to spend your Friday evening. Bet Now!